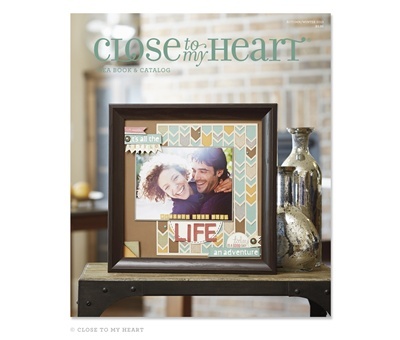 New Autumn/Winter Idea Book & Catalog is Here! It's finally here... the new 2013 Autumn/Winter Idea Book & Catalog! So excited to announce it's arrival. 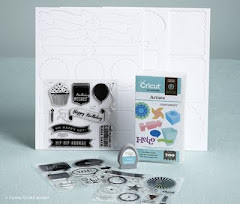 We have a NEW Cricut bundle, the Cricut Artbooking Collection. 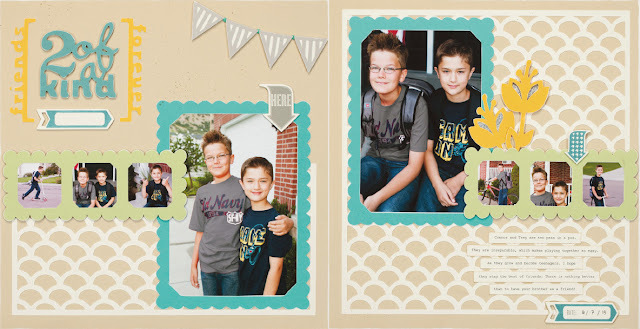 It allows you to create themed 2-page scrapbook layouts in a flash, all with your Cricut. All the guesswork is taken out of the process. 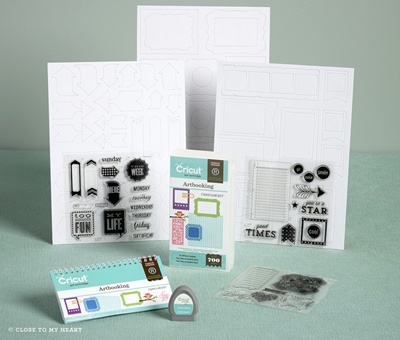 Just select your layout theme and using only 2 buttons on Cricut and one dial size, you can create a layout like the one below complete with title, photo mats, backgrounds, accents, etc. The collection comes with a Cricut cartridge, THREE coordinating My Acrylix stamp sets and 3 sheets of coordinating die-cut chipboard shapes. But you can create more than just 12x12 pages! The cartridge also has 10 themed mini albums! Cutting out the pages for a complete mini album has never been easier. ***When you order your Artbooking bundle, I will send you complete instructions to create the "2 of a Kind" layout featured above!